Computer software can be expensive. Rather than doing without because you can’t afford it you can find discount computer software. The key to it being worth the money is checking to make sure that it is the full version of the software and buying it from a reputable place. If you are thinking about buying discounted computer software there are several places where you can find it. There are many stores online that sell discounted computer software. It is important to note that not all of these stores are reputable. Make sure you choose an online store that offers a money back guarantee and can be easily reached if a problem arises. Stores that are not reputable usually do not have a number where you can reach them, and will not offer to refund the customer’s money if the customer has problems or is not satisfied. If you can, choose an online store that is accredited by the Better Business Bureau as well. Both online and in print classified ads are a great way to find discounted computer software. The key to finding software that will meet your needs is to only purchase items that are sealed. Open items that have been previous installed on other computers may not work on yours. Many software companies are trying to stop customers from reselling their software items by limiting the amount of times that particular software can be downloaded. By purchasing software that is still in a sealed package you can ensure that it hasn’t been used and that you can download it on your computer. You may be able to find discounted computer software including discount OEM software by looking in computer stores that are locally owned. Many of these stores try to compete for business with the bigger chain stores by offering discounted items in order to gain business. In some instances if you find a price online for a particular type of software they may offer to match the price. It’s a good idea to ask what their policy is on discounts and price matching so you know whether or not you can reasonably expect to get a good deal when shopping with them. 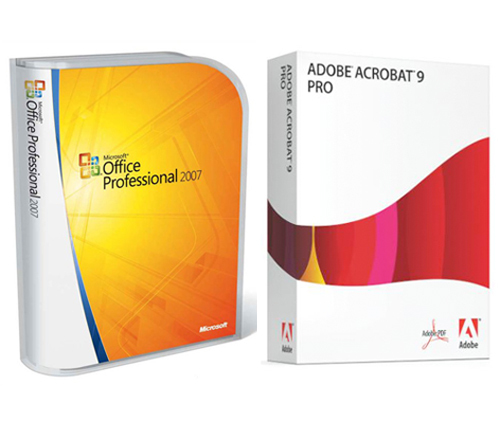 There is generally an abundance of discounted computer software on online auction sites. You should only bid on products from trusted sellers that have good feedback. Remember to do some research beforehand to see what the retail price is for the item you want. This will help you come up with a reasonable bid instead of actually paying more for the item in the end. If you need computer software, you don’t always need to pay full price. With a little bit of searching you can find discounted computer software that suits your needs. Just remember that it’s always a good idea to purchase software that is new. It may take some time to find the software you need at a good price, but in the end it will be worth it for the money that you are able to save. Thanks for taking the time to review this article on Discount Computer Software. For more information be sure to check back next week!